2020 is going to be a crucial year for the base oils and automotive lubricants industries with new regulations and specifications coming into practice, and the full force of new capacities being seen. 2019 is therefore the year in which the industry needs to come together, learn about the full effects of these developments on the market, and forge the business relationships that are going to see the industry into the next decade. 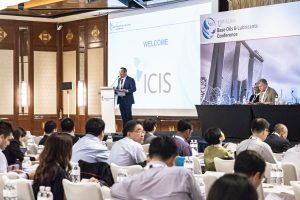 This year’s 13th Asian Base Oils & Lubricants Conference, taking place in Singapore on 25-27 June, is that meeting place. Register with promo code ABO19ON6 before 18 April to save up to $400 on your registration fees!